You may think you know all about the Lake Forest Park Farmers Market, but do you know about our food assistance programs for our low-income neighbors? Thanks to the generous support of donors to Third Place Commons (the 501(c)3 nonprofit organization that presents the LFP Farmers Market), our long-running Market Bucks program is a staple of the market season. Working in collaboration with a variety of service partners in the community, Third Place Commons distributes thousands of dollars in food assistance vouchers to community members in need to empower them to buy healthy, locally grown and made produce, meats, eggs, and other food at the market. Distribution partners include a variety of sites including Ballinger Homes, Hopelink, the Shoreline Lake Forest Park Senior Center, the Dale Turner Family YMCA, and area schools and lunch programs. This year’s Market Bucks funders include Edmonds Unitarian Universalist Congregation, the Lake Forest Park Garden Club, and the Rotary Club of Lake Forest Park. With their generous support, we’ll distribute over $12,000 in 2016 to low-income and homeless families and individuals who struggle with food insecurity. This year, we are delighted to add another fantastic program to the roster with the addi tion of Fresh Bucks, a program designed to support those in need with increased access to healthy fruits and vegetables that are often left out of their diets. The Fresh Bucks program goes hand-in-hand with the SNAP benefits that we have long accepted at the market. SNAP, which stands for Supplemental Nutrition Assistance Program, is the USDA’s nutrition support program for low-income individuals and families. SNAP provides a powerful hunger safety net for those in need throughout our community. Now, when folks use their SNAP cards at the LFP Farmers Market, we will match their SNAP benefits dollar-for-dollar – up to $10 per market day – with Fresh Bucks vouchers that can be used at the market exclusively for fruits, vegetables, herbs, and vegetable starts. So if someone spends $10 of their SNAP benefits, they’ll get $20 of spending power at the market! We are thrilled to offer this exciting program and delighted to see so many of our neighbors taking advantage of this additional spending power. 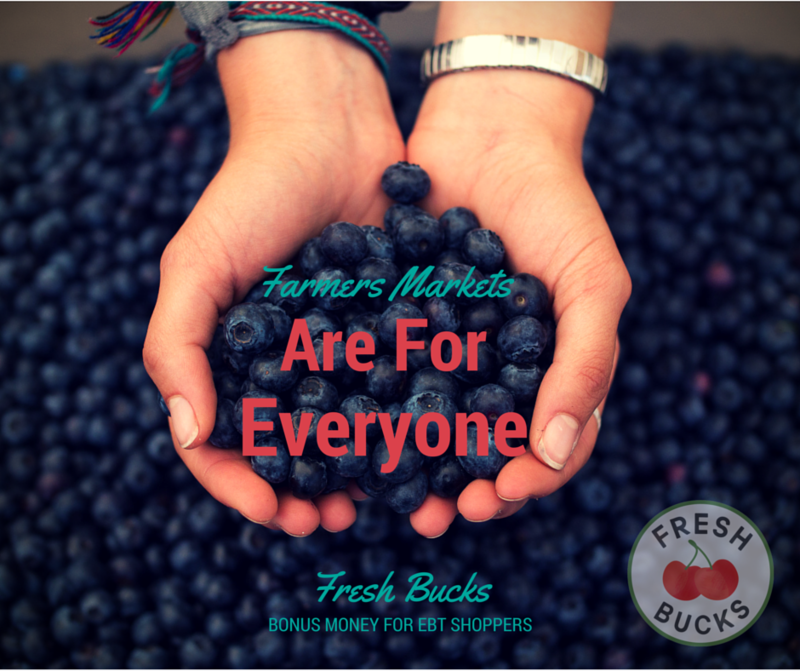 In addition to Market Bucks, SNAP benefits, and now Fresh Bucks, the Lake Forest Park Farmers Market also gladly accepts Senior/WIC vouchers. The LFP Farmers Market is open 10 AM to 3 PM every Sunday through October 16th and welcomes 7,000 to 9,000 visitors per week. And thanks to programs like Market Bucks, SNAP, and now Fresh Bucks, more people than ever before will be able to access all the healthy and delicious options the market has to offer! Previous Post: Summer is heating up fast at the Commons!